Demand generation is about qualifying and narrowing prospects, nurturing qualified leads that may eventually lead to sales, aligning marketing with sales, and analyzing the results for future use. Using metrics – When you show that marketing is a revenue generator rather than cost center, you become a trusted member of the lead management team and you build marketing credibility within the company. 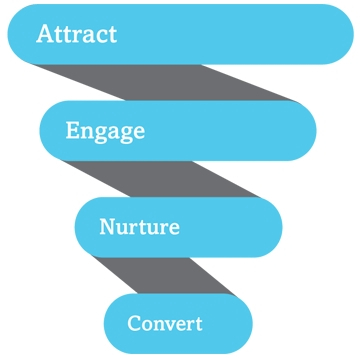 How to succeed with Demand Generation? Data quality and data management plays a pivotal role in generating demands. It is of utmost importance that marketers store prospective buyer’s data in their database for future use by making sure the buyer’s data is clean and up-to-date. In addition, this data must be standardized especially for marketing campaigns. The reason being marketing campaigns is now done through marketing automation software so as to get the correctresults by following a specific time and content. This tactic ultimately helps in lead scoring. To sum it all, a marketer must create a successful relationship with his buyer. Gone are the days of making cold calls and dropping emails. Demand generation is all about creating demand through creating conversation with the buyer, understanding his needs and nurturing those needs. The demand generation process will streamline your company’s lead generation tasks and improve your company’s ROI.